Much of the increase in the nation's automotive exports in 2014 came from higher shipments of U.S.-made Ford, Jeep, BMW and Nissan models. As the nation’s economy continued to recover, U.S. exports of automotive parts and vehicles soared 4.5 percent to $159.5 billion in 2014, breaking a record for the fourth straight year. 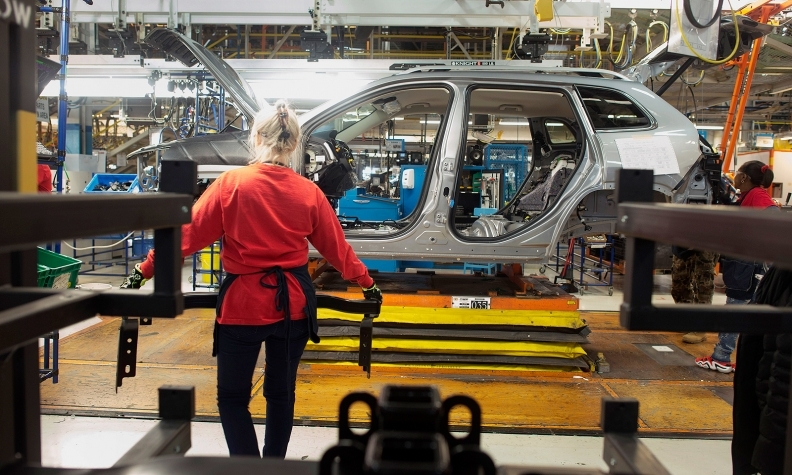 The auto industry was the fourth leading exporter of goods in the U.S. last year, according to data released by the International Trade Administration on Thursday. About 18 percent of U.S. new-vehicle output, or 2.1 million cars and light trucks, was exported last year, The Wall Street Journal reported. Strong demand for American-made cars and SUVs, especially in Asia and the Middle East, drove the increase in imports. U.S. factories operated by both foreign and domestic companies posted increases in exports to Canada, Mexico and overseas. About half of all U.S. light-vehicle exports end up in Canada or Mexico, and both North American countries are major exporters to the U.S.
Toyota Motor Corp.’s U.S. exports surged 25 percent to 163,285 vehicles to 40 countries in 2014, compared with 130,884 vehicles to 32 countries a year earlier. In the last five years, the number of countries Toyota ships to from U.S. factories has reached 40, up from 10, Toyota spokeswoman Toni Honsowetz said. Much of the increase in exports came from shipments of U.S.-made Ford, Jeep, BMW and Nissan models. “Trade is fundamental to Ford’s business,” company spokeswoman Christin Baker said. The automaker has increased U.S. car and truck exports by 50 percent since 2009. “Just take for example, the all-new Mustang. It is assembled in Flat Rock, Mich. It is made with parts from 25 states. And it is now being exported to more than 100 countries,” Baker said. Fiat Chrysler last year shipped 316,000 Jeeps overseas, up 50 percent from 210,000 in 2012, The Journal reported. IHS projects that the U.S. will export 2.1 million vehicles this year, a leap from the 1.3 million shipped in 2010. In 2005, 1.4 million U.S.-made vehicles were exported.